Winter wonderland ribon wedding invitation. 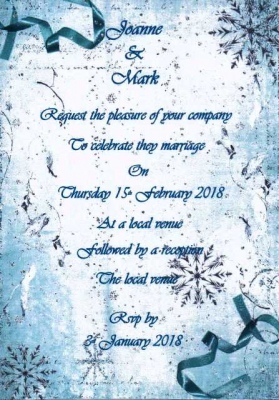 A winters theme with snowflakes printed background and printed ribbons to the corner. All of your wedding details will be printed onto the invitation including guest names if required.